Camping among the Redwood Giants, its hard to imagine a cooler educational and spiritual setting for a Camp. The executive director Andrew knows how precious his location is and is pushing forward plans to best utilize and preserve their wonderland. Andrew ate some whole wheat pancakes, strawberry yogurt and homemade granola with us on the deck of camps dinning hall. We shared stories and then Andrew told us all about his vision and passion for camping, serving families and the surrounding communities. 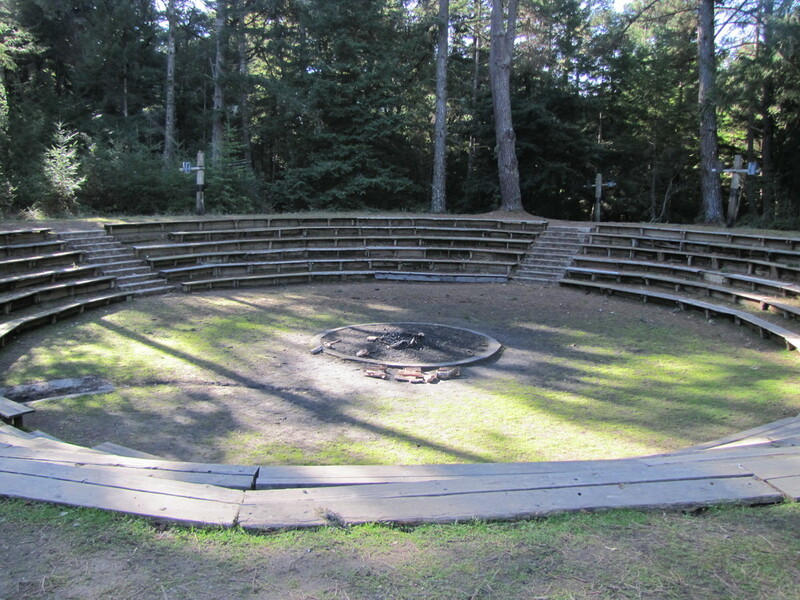 There is great history and some incredible facilities at YMCA Camp Jones Gulch as well, for example a giant I mean GIANT outdoor amphitheater. A shell that would be any music groups acoustic dream. They also have the Indian bowl, this structure has been apart of camp since the 50’s and has seen many seasons of Adventure Guides. This giant fire pit has enough seats for 400 people and looks like a colosseum carved into the ground. It was enlightening to talk to Andrew, he talks about everything from camps aesthetics to the archery program, from camp facilities and structures to traditions in terms of intentionality. He encourages a philosophy of questioning everything and being intentional in programing and all aspects of camp life and facilities planning. The end result being that everything that is done at camp has a defined purpose.